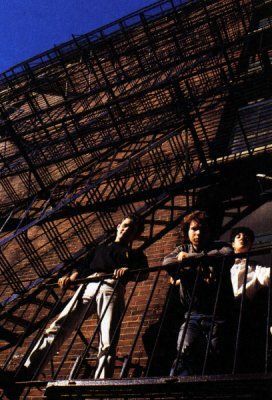 In February 1989 Galaxie 500 went into Noise NY and recorded eight songs in three days - the recordings where demos for Slash records although four of the recordings eventually turned up on On Fire. During the sessions they recorded the Joy Division track Ceremony for the first time. They would re-record the track in their August sessions and that was the version that was released on the Blue Thunder EP. This however is the rougher and faster demo recorded at the earlier session. This recording is not of the greatest quality as I had it sent to me as a Windows Media file and had to convert it to mp3.